Changes have been made today to the channel numbers used by UKTV on Sky, meaning that's there new channel numbers to remember for channels such as Dave Ja Vu, Drama, Good Food and Home. 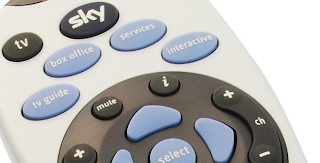 Unlike on Freeview, UKTV's services on satellite are encrypted and require a Sky subscription. In many cases, primary channel numbers remain the same, with changes to the +1 and HD/SD swap channels. Good Food is the main benefactor moving from 244 to 133. The changes follow Sky's decision earlier this year to merge the lifestyle and entertainment sections its of Electronic Programme Guide. Watch/HD 109 (unchanged); 214 moved to 245. On the list above, where more than one channel number is listed, what you'll see depends if you have Sky HD or not. If you have Sky HD, you'll see the HD service on the first (primary) channel number for each channel, with the standard definition service at the second number. If you only have standard definition Sky, it's the other way around.